Caring for someone with Alzheimer’s disease can take a toll on your emotional and physical health. 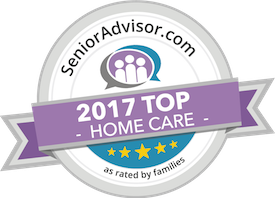 Not only will you need to provide around-the clock supervision for your loved one, but you will also be required to drive for them, do the cooking, help with the cleaning, and a wide array of other responsibilities that will now fall on your lap. Being able to spend so much time with your aging parent can be a rewarding experience as well, and as long as you know. How to manage your stress levels. By following these tips, you will be able to keep yourself healthy and sane while providing care for your loved one. Reach out for help. If you are feeling overwhelmed, do not be afraid to ask for help. Have other family members or friends assist by taking care of some of the tasks for you. Professional caregivers can also take your place while you get a much-needed break. Get fit. When you need a mood boost, exercise is the solution. Endorphins are released during physical activities, creating a feel-good response. Try to get at least 30 minutes of exercise each day. If it is impossible to set aside that much time for yourself, break it up into 10 minute increments throughout the day. Have a support system. Having someone to talk to will help ease any stress you. Are feeling. This person could be a family member, friend, or someone you met through a support group. Laugh more. By finding more humor in everyday things, you will be able to laugh more and worry less. Watch a funny movie, tell hilarious stories to your elderly parent, or read comics in the newspaper. You are sure to chuckle a little more by trying these activities. Reflect over your feelings. Instead of solely focusing on the negative aspects of your caregiving role, try to emphasize the brighter parts of your day. A gratitude journal is the perfect way to do this by allowing you to jot down what you are most grateful for each day. When your loved one is having a good day, try to celebrate it as often as you can. Try relaxing techniques. Learning how to promote self-relaxation will help you manage those stressful feelings much more effectively. This can be done through yoga, meditation, or breathing exercises. There are going to be days that are more stressful than others. However, you can alleviate some of that built-up tension with these techniques. Have questions about caregiver services in Oahu, HI? Contact the caring staff at All Care Hawaii today. Call Oahu (808) 206-8409 or Maui (808) 664-3853. Call us 24 hours a day, 7 days a week!